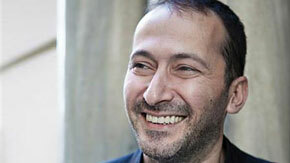 Emre Baykal worked for the Istanbul Biennial as Assistant Director from 1995 to 2000 and as Director from 2000 to 2005. In 2005, he co-curated the public space project "Istanbul Pedestrian Exhibition II: Tunel  Karakoy" together with Fulya Erdemci. In 2007, he directed santralistanbul's inauguration show entitled "Modern and Beyond", an art historical account of contemporary art in Turkey. Amongst the exhibitions Baykal curated are "Envy, Enmity, Embarrasment" (Arter, 2013); Mona Hatoum "You Are Still Here" (Arter, 2012); "Tactics of Invisibility" (with Daniela Zyman; T-B A21, Vienna; Tanas, Berlin; Arter, Istanbul, 20102011), "Second Exhibition" (Arter, 20102011), "Mahrem" (santralistanbul; Kunsthalle Wien Project Space; Tanas, Berlin, 2007-2008); Kutluğ Ataman "Mesopotamian Dramaturgies", (Arter, 2011), and Ali Kazma "Obstructions" (YKY Kazım Taşkent Art Gallery, 2010). 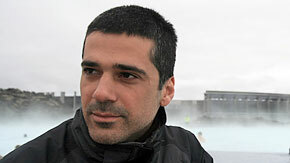 Emre Baykal currently works as Exhibitions Director and Curator at Arter, Istanbul. Born in 1971, Istanbul, Ali Kazma completed his undergraduate studies in the United States. After briefly studying photography in London, he returned to the US to study film. He received his MA from the The New School in New York City where he worked as a teaching assistant. Ali Kazma was granted the 2001 UNESCO Award for the Promotion of the Arts and received the 2010 Nam June Paik Award given by North Rhine-Westphalia Art Foundation in the field of media art, with his "Obstructions" series that he had been working on since 2005. The artist whose videos question and explore the different rhythms and states of human existence and its relationship to contemporary conditions, has exhibited his works at the Istanbul Biennial (2001, 2007, 2011), Tokyo Opera City (2001), Platform Garanti Istanbul (2004), Istanbul Modern (2004), 9th Havana Biennial (2006), San Francisco Art Institute (2006), Lyon Biennial (2007), and Sao Paulo Biennial (2012) among others. Kazma has been living in Istanbul since 2000.